For our family, and for many Christian families, springtime brings thoughts of Easter. And with Easter in view, my family takes note of both Lent (a preparation for Easter that starts 40 days prior to Easter) and the Passover (the Jewish celebration of the story of Moses leading God’s people out of slavery and into the Promised Land). I grew up attending a Paschal (of or relating to Easter or Passover) meal at my aunt and uncle’s home every year as long as I can remember. It was a time that all the family came together, sometimes with a new friend or, as the years progressed, with a new family member, and had a great time! As I’ve grown older and learned more about my faith, I’ve become even more convinced about the importance of a Christian Passover celebration. I once heard a sermon where the pastor explained how the entire Bible points to Jesus. Even though many Jews may not recognize that, it’s both interesting and awe-inspiring to see just how clearly to believers the gift and sacrifice of Jesus is portrayed in the Haggadah (the program that accompanies the Passover service). With all the commercialism and crassness that our culture and society have heaped on the holiday of Easter, celebrating Passover is a breath of fresh air: non-commercialized, family oriented and family-friendly. I would encourage you to try it this year! If your curiosity is piqued…freshen up your cuppa, get comfy and take 5 minutes to watch this video from the International Fellowship of Christians and Jews about the significance of Passover to both faiths! 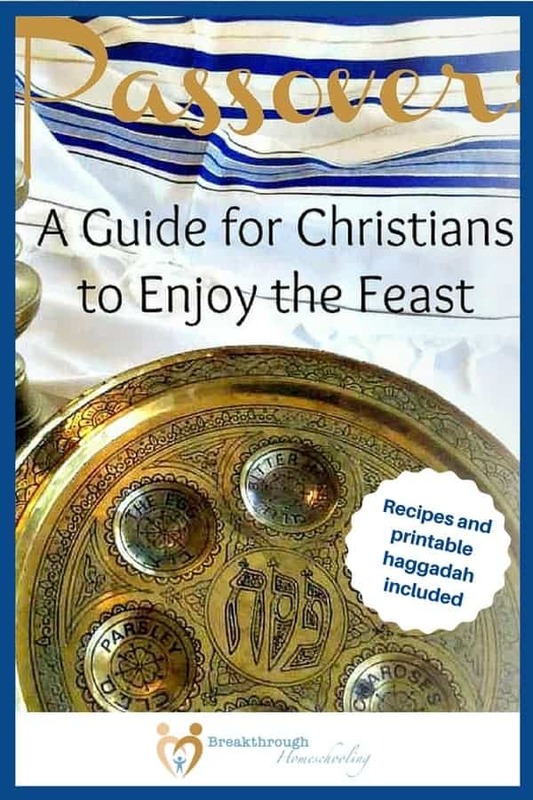 For some more resources, or if you’re interested in celebrating a simple Christian Passover in your own family, I put together an e-book that outlines some of the history and all of the info you need to celebrate this holiday in your own home. 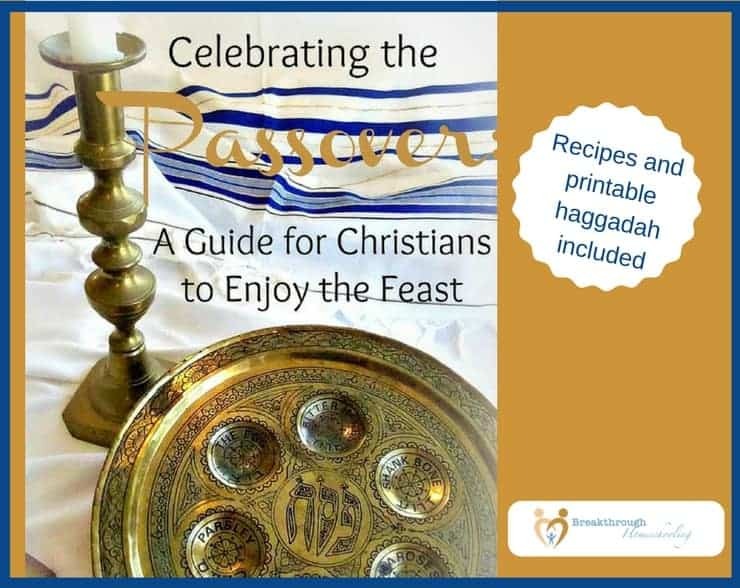 The book, Celebrating the Passover: A Guide for Christians to Enjoy the Feast**, includes a printable, easy-to-read Haggadah that you can use with your own family and guests! But I’m curious…as a Christian, what are your thoughts on how much emphasis we need to or should give to our Hebrew roots? I’d love to hear them in the comments below!